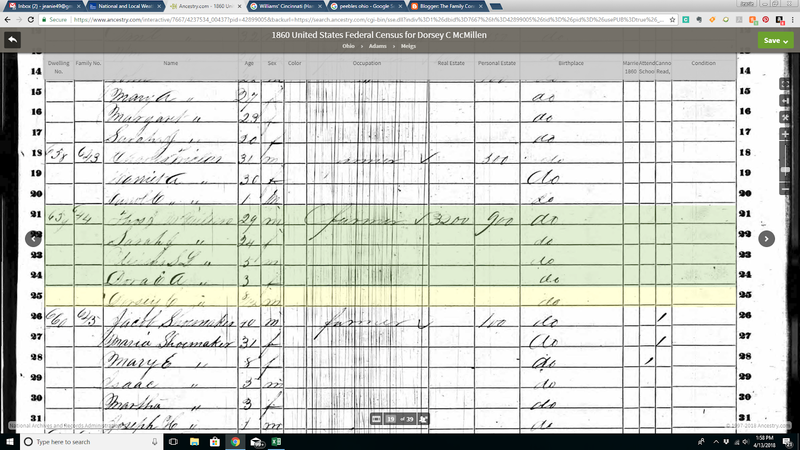 Dorsey Corwin McMillen Family of Peebles, Adams, Ohio: Do you know this family? So this is something new for me. Background, I work at a company that also runs a resale shop. 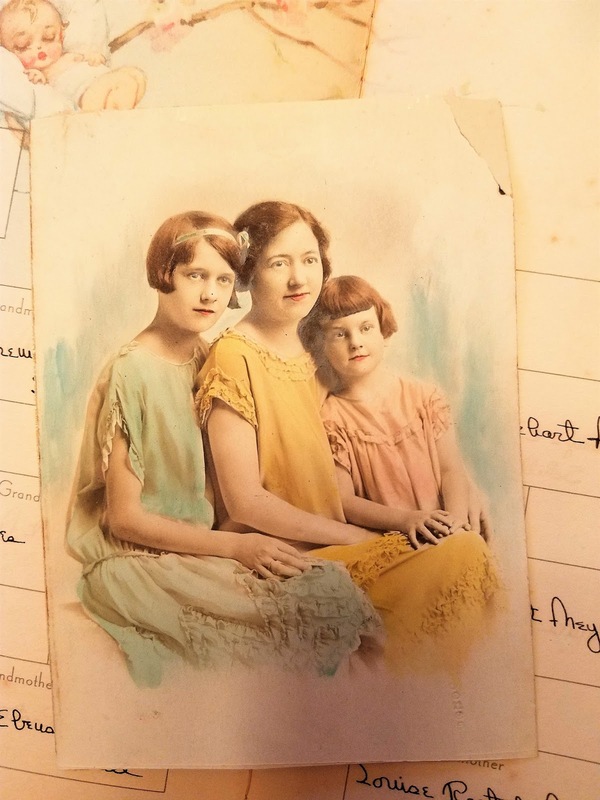 The manager came across some old family photos and I thought I would try to reunite them with a family member. If you a member of this family and are interested in the photos let me know. 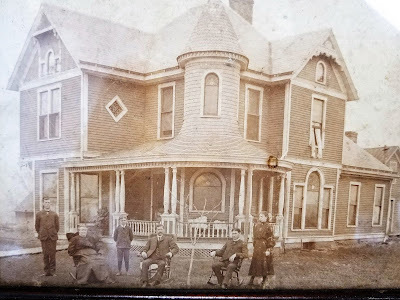 The first photo is of the family farmhouse of D.C. McMillen taken about 1907 in Peebles, Adams County, Ohio. Pictured in the photo are Arby, Mattie, Harlan, Dorsey, Selva and Bertha. Here they are in the 1900 census. Dorsey is misspelled as Dosser. 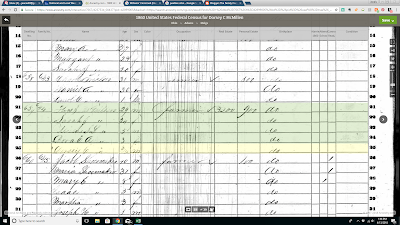 I believe this is D.C. McMillen here in the 1860 census. 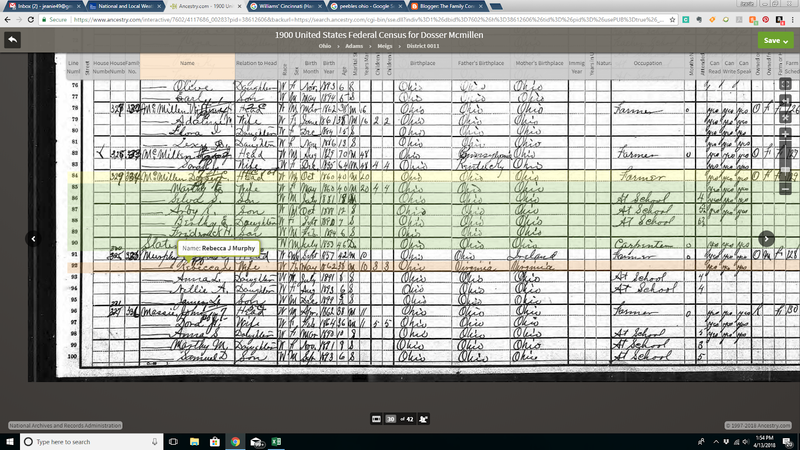 His parents are Thomas and Sarah and in the 1900 census a Thomas and Sarah are listed just above Dorsey's family. This is a picture of Bertha Elizabeth McMillen Meyer and her two daughters Elizabeth Louise Meyer and Mary Jane Meyer. Bertha died at age 38, probably not to long after this was taken. Elizabeth, b. in 1912 went to college and then learned how to fly, becoming one of the first female pilots. See the link below. She ended up in Texas, living in Brownsville down on the border. This must explain how the photos ended up in Texas. Elizabeth is a special kind of mother. 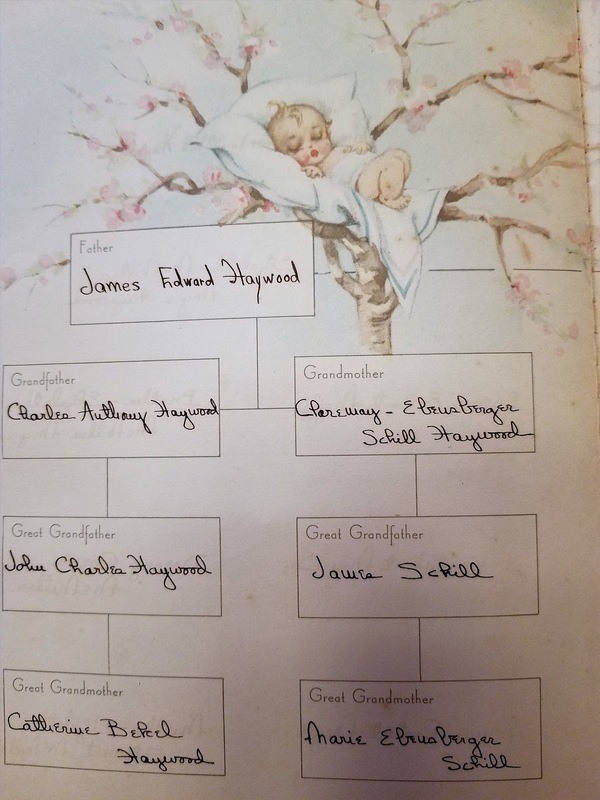 She not only filled out her son's baby book, full of loving details, she included his genealogy chart. 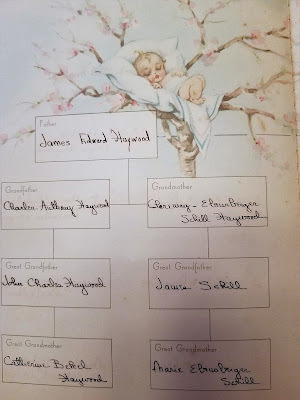 James died in 2016, he lived not far from me. I guess no one wanted his pictures. If you want them, please contact me and I will send them on.